St Mellion International is set in 450 acres of tranquil Cornish countryside, St Mellion really is a golfers paradise and the ideal venue for a relaxing break. Established in 1976 by Herman Bond, St Mellion is now recognised as a leading west country venue for business and pleasure. The championship golf courses have gained an international reputation and have played host to the Benson and Hedges International on six occasions. 1997 saw the opening of AERO at St Mellion and it's top flight leisure facilities have been heralded as the best of their kind in the SW of England. AERO includes such facilities as two pools, a steam room, sauna, spa-pool, a fully equipped state of the art fitness suite as well as a skin care and spa centre. St Mellion can be reached from the M5/A38 travelling SW to Plymouth and continuing on the A38 to Saltash. The village of St Mellion is on the A38 northbound in the direction of Callington and Lanceston. 'One of the finest galleried golf courses in the world' - Jack Nicklaus - 'I knew it was going to be everything I hoped for and more. St Mellion is potentially the finest golf course in Europe'. When perhaps the greatest golfer ever to have trodden the fairways pays such eloquent tributes to a course, the golfing world is bound to sit up and take notice. A fine layout has resulted in the staging of the B+H International Open, 6 celebrity golf classics and the tournament players championship (twice) testifies to the quality of the first course. The Old Course at St Mellion was opened in 1976 when brothers Herman and Martin Bond unveiled a championship course and clubhouse. The course played host to several major events from as early as 1978, when the PGA Cup Match was played at St Mellion, resulting in victory for the Great Britain and Ireland team. 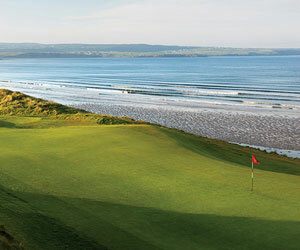 Before completion of the Nicklaus course, the 'old' course hosted many big events including the B+H Open. Although somewhat overshadowed by the more famous Nicklaus course, the old is a very testing and interesting course in its own right. At just under 6000 yards, it has many holes which will test the very best of golfers. We (9 of us) went to this course on 16th, 17th and 18th Sept 2004 and apart from the awful weather on the fri and sat, we had a fantastic time. We paid £252 each for which we stayed in "Nicklaus lodge" which was a superb 5 bedroom place right next to the 18th green of the old course. Also included in the price was 4 rounds of golf, 2 on each course and breakfast and dinner in the hotel on the complex for the duration of our stay. The old course has some lovely holes on it and gives a little respite from the difficult Nicklaus but still a good test of your skills. The Nicklaus gives you the feeling that you are special. The condition of the course was superb and after all the rain the greens were still quick but nice and receptive. As for keeping the driver in bag, (advice from starter) don't! if you think you can tip-toe round with irons off tees to keep the ball in play, fair enough, but holes are long so your second shots will be more intimidating than your first. Get the woods out and be confident you can hit it straight and give yourself a chance of pars and bogeys. A great week-end of golf which we will do again soon. I stay at St Mellions every year with my dad and we play everyday, the Nickalaus course is an amazing course it's very demanding and is also pretty long. My favorite holes are the 11th and the 18th.because they are so unique. Best course I have ever played. The par 3 eleventh down hill over the pond is my favourite. The Nicklaus Course at St Mellion lives up to it's designers' praise. Voted by 'Fore' magazine readers the hardest course in England, I can vouch for that. The first 6 holes are particularly hard: The 3rd is a devilish short par 4 with half the fairway cut away into a sheer drop....a slicers nightmare off the tee. The same fate awaits the slicer on the par 3 4th, but the 5th is simply superb, a 170 yard carry over water (there is no way round!) followed by a pitch to a green guarded by a stream and bunkers. If you get through these 3, the 6th is stroke index 1! When I last played I was standing on he 7th tee with two points stablelford! If you survive the front nine 10,11,12 is St Mellions own Amen Corner with 12, being certainly the best par 5 I have played. A 500 yard monster, cut between pines with a stream running down the right and across the front of the green. If all this isn't enough the finish is truly daunting at a great 550 yds par 5 and two 450 yard, or thereabouts par 4's. It's a great course, well worth the trip, try it. I’m just back from trying out the newly revamped Nicklaus course at St Mellion, now rechristened as ‘The Nicklaus Signature Course’. Trying is the word – very trying. I’d originally wanted to call this piece Dye Hard, as Pete Dye was a big influence on Jack’s early course designs, and this just about summed up my feelings for the course once I’d been battered by it. As this was Jack’s first ever signature golf course design in the UK, I was keeping an eye out for the Dye influence, and it is there in abundance –noose-tight fairways, and bikini-top small greens. But this doesn’t really do justice to what Jack (sorry, Mr Nicklaus to me) originally bought to the party – high tees with good views of the fairway, oceans of water, and the absolute need to think your way round the course, and position yourself accurately on the fairway. This might sound like common sense, but if you turn your course management brain off here for more than a nanosecond, then you’ll be in deep....rough, water, sand, whatever. There’s a ‘wealth’ of different hazards to be endured – streams, lakes, ravines, rivers, the odd tree in the middle of the fairway (the 10th), and that rough I mentioned; nasty, deep, ball-loosing, club-clenching stuff. We were sent off on our round with 3 shiny new balls, and in hindsight a rather knowing ‘Good Luck’ by David Moon, St Mellion’s Director of Golf and the South West’s leading Wolves fan. I’d had a premonition that I was in for a bit of a roughing up, so had loaded myself up with some spares, and if you’re not all over your game, you’ll need them. Especially if you try and muscle your way round this course – it simply will not be overpowered. My single piece of advice is to put that driver away until the 15th, unless you’re really feeling super-confident. And certainly leave it well alone for the 1st which, unusually for a Nicklaus design, is a blind drive. This is a real RTFM course (‘Read the F**** Manual’ for the uninitiated), or otherwise you’ll be off to a nightmare start. I missed the fairway by a yard at most, but ball number one had already gone into permanent hiding. This is not a course that tolerates any lapse of concentration or failure to pay attention to detail. The first nine just doesn’t let up as it winds its way through some stunning Cornish valley scenery, with no two consecutive holes following the same direction, and never a sight of the hotel. 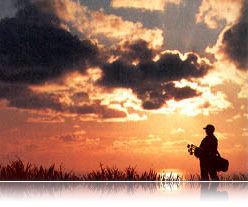 You feel if you’re out there on your own to do battle with the course, uninterrupted by the cares of the real world, or other golfers for that matter. By the time you’ve emerged onto the 10th, you’ll be in need of some therapy. A quick burst of electro-shock treatment and a banana was all I could manage before setting out again on my quest to amass a grand total of 18 woeful, but hard fought for, Stapleford points.